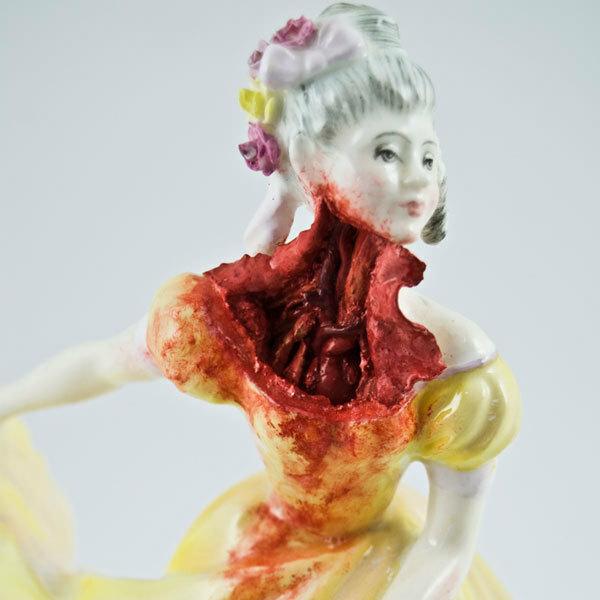 Jessica Harrison | The Weirdo. Usually when I think about ceramic or porcelain little statues the main scenario that pops into my mind is: an old lady surrounded by these teeny tiny and pretty camp objects and hundreds of cats (which it sounds a lot like I would imagine my future self, but instead of cats I’d be surrounded by cute little pugs). 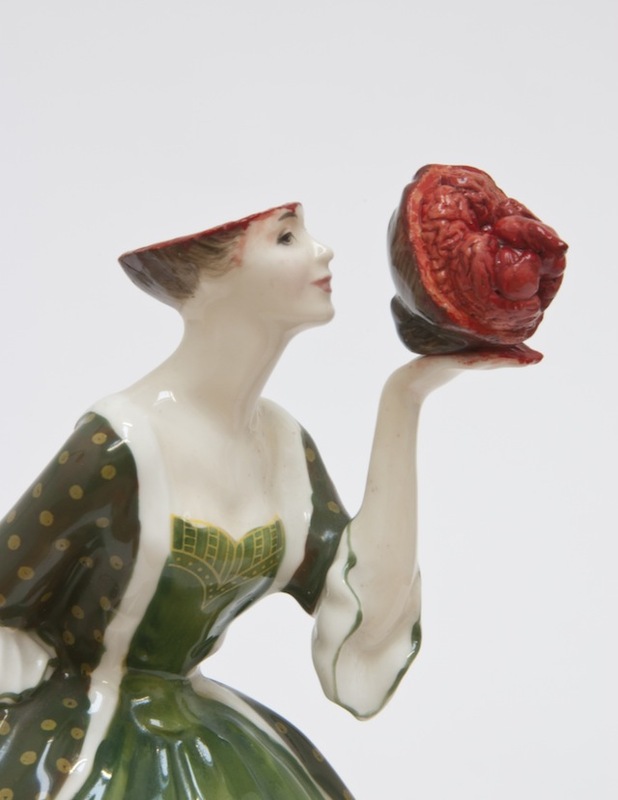 Of course the works of the Edinburgh based artist Jessica Harrison don’t fit this kind of scenario and I would happily fill an entire room with her creations as she transforms these collectible ceramic items into a gruesome spectacle of beauty and gore. Yes, they are all sooo amazing. 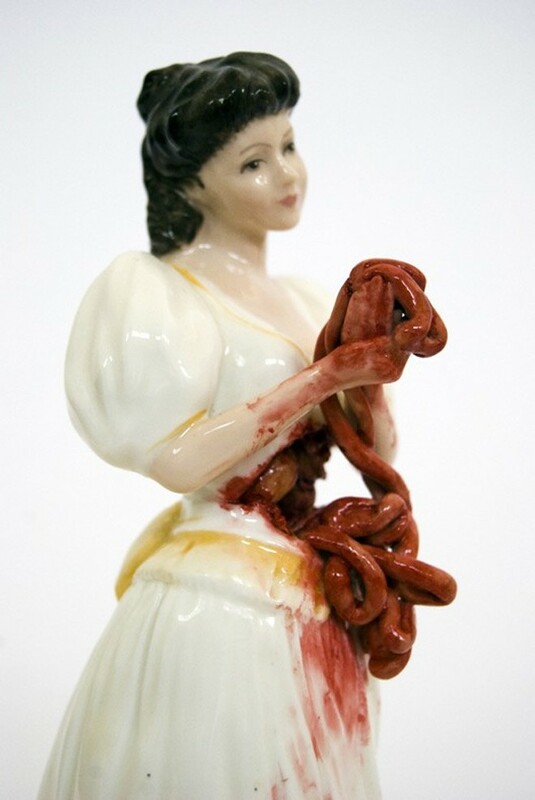 You should check out the tattoed porcelain dolls as well always by Jessica Harrison, this girl is very talented! WOW! thats some beautiful art!